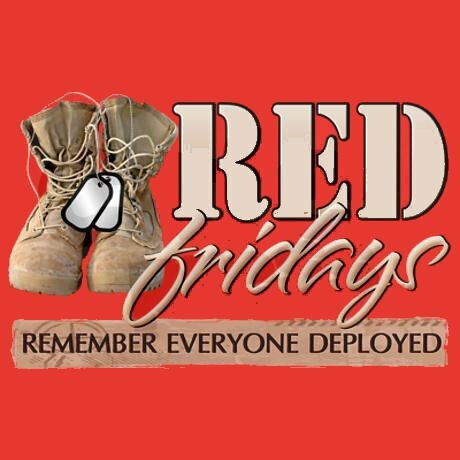 Wear RED on friday’s to show your support. The bald eagle was chosen June 20, 1782 as the emblem of the United States of America, because of its long life, great strength and majestic looks, and because it was then believed to exist only on this continent. It is said the eagle was used as a national emblem because, at one of the first battles of the Revolution (which occurred early in the morning) the noise of the struggle awoke the sleeping eagles on the heights and they flew from their nests and circled about over the heads of the fighting men, all the while giving vent to their raucous cries. “They are shrieking for Freedom,” said the patriots. Thus the eagle, full of the boundless spirit of freedom, living above the valleys, strong and powerful in his might, has become the national emblem of a country that offers freedom in word and thought and an opportunity for a full and free expansion into the boundless space of the future. –Maude M. Grant 2 more videos! Yet another lie from the Pentagon about why the team was where they where and what mission they were on. The members of Team six were on the helicopter that was shot down in Afghanistan 3 months after Operation: Geronimo. This SeALS family give their theory. Heroes: ordinary people or something different?